A philosopher – both in the realms of politics as well as morality and psychology. The influence Rousseau has exerted cannot possibly be overstated. What has always made him an interesting figure to me and more of an authority amidst the myriad of thinkers of his time is that he not only questioned the status quo of the political environment, but he never stopped questioning his own viewpoints and those of his philosophising peers. If one was to boil down Rousseau’s emissions to their essence, you might find freedom of will and the opposition to tyranny at their centre. His political writings aimed at creating a stable society based on political institutions to ensure equality and peaceful coexistence of the individual as well as counteracting egotism and selfishness. Now, from a distance this could be perceived as an overly optimistic view on things but when delving deeper into his elaborations, it becomes apparent that Rousseau is convinced that humanity at large is on a slippery slope down to a dystopian world of epic proportions, i.e. corruption, enslavement and inequality, if approaches to politics and individuality along with the responsibilities that come with the territory are not being reassessed and carefully reconsidered. His early writings assess how humanity got to where it was at the time of his writings, and the focus then changes to how democracy should and could look like if equality is the central tenet. What makes Rouseau’s political tracts and essays an enjoyable read is that they are underpinned by some very engaging and lively writing. It also does not hurt that Rousseau was not just a political thinker but also dabbled in music as a composer, which he was inspired and fascinated by the wonders of nature and that he was firmly in touch with his feelings and emotions, which made his writings an important influence on the genesis of the Romantic Movement. It is that wide range of influences that make his political writings approachable, as his elaborations are informed by topics and areas that ostensibly unrelated to the realm of philosophy, yet help illuminate the points he brings across. 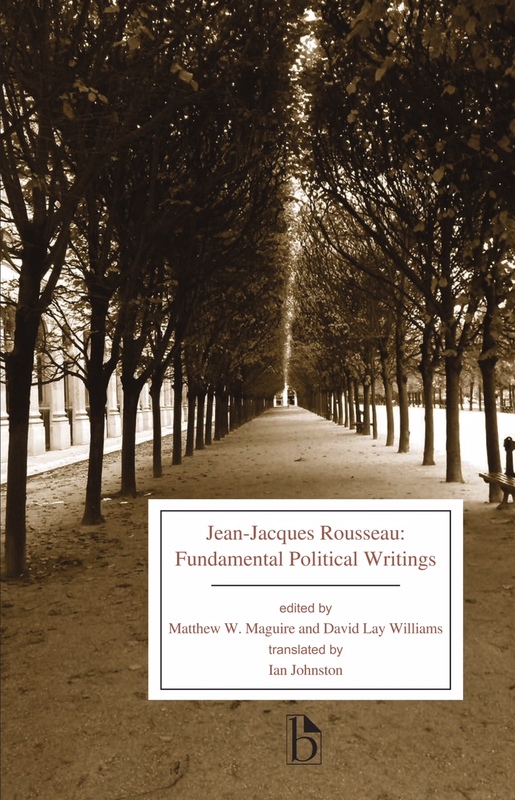 An essential resource and reference book of one of the major political thinkers with newly translated texts and an abundance of explanatory notes, contextualisations of his emissions as well as comparisons to other philosophers and Rousseau’s influence on them.